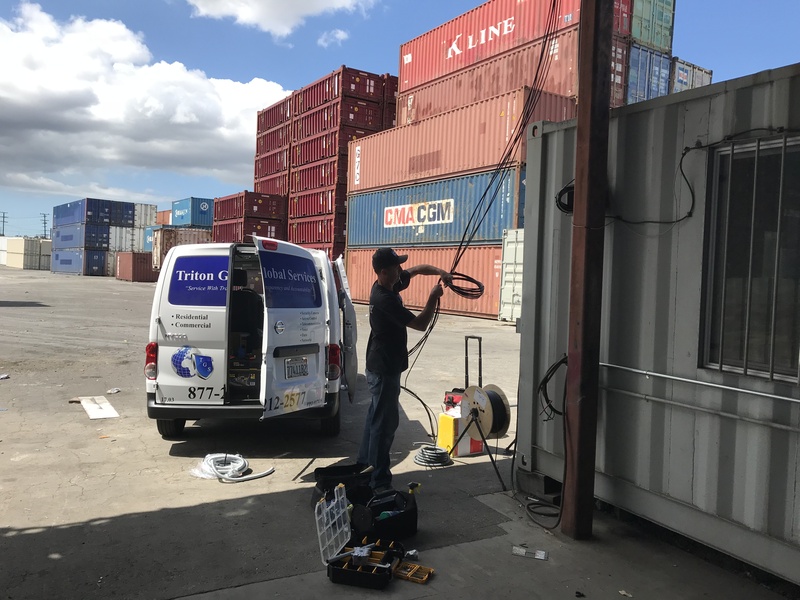 Darrin, one of our experienced field technicians with Triton Global Services installing security surveillance equipment in Long Beach, CA. Triton Global Services (TGS) provided high-quality security surveillance cameras, as well as the installation of 100 cameras on this job site. No installation job is too small or big for TGS to handle. On this particular job site, TGS built and ran structured data and voice lines to support the client’s communication needs for their growing business. Having the reliable data and voice lines installed was essential for this client’s business. This will now enable them to keep up with their business needs today and in the future. Installing security surveillance systems can be complex and should be left for a security installation professional. A security surveillance system that is installed incorrectly can be frustrating and a can lead to a security system that is not used. Unless you are an experienced security camera installer, why run the risk of running into problems? Let TGS take care of the installation for you. Triton Global Services specializes in the latest technology from our customizable security surveillance camera systems, installation of all cabling lines, to real-time-monitoring capabilities at affordable pricing. Triton Global Services motto, ” Service with Transparency and Accountability” holds true. We take pride in offering exceptional service to our clients. Check out what our customers are saying about us by visiting www.tritonglobalservices.com. Contact Triton Global Services for a FREE security assessment by calling 877-212-2577.